the rear wheels through the lightweight, compact, six-speed sequentially-shifted transaxle." Today’s automotive marketplace rewards innovative, efficient, and reliable vehicles with prestige and sales. The race is always on to bring breakthrough designs and technology to the showroom floor first. 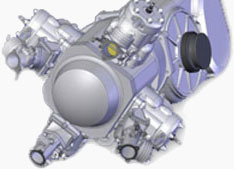 SolidWorks® software provides the full range of integrated modeling, simulation, visualization, and communication tools that automotive manufacturers need to design better cars, vehicles, and transportation systems faster – and at lower cost. 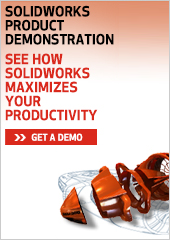 SolidWorks® Premium CAD software provides the advanced capabilities you need to design better products–from design, automation, and simulation to validation, collaboration, and data management–all in one comprehensive package.